Stretch2Strength is about helping you be the best you. We believe your journey to physical wellness begins with strength, balance, and flexibility. Our certified personal trainers design effective workouts to increase muscle endurance and core strength, so you can achieve your fitness goals and love exercise. We are so excited to now offer Fascial Stretch Therapy. FST is a breakthrough method of assisted stretching that targets the connective tissue - called fascia - that surrounds your bones, muscles, and joints. FST is performed by a professionally trained therapist to make sure your body gets stretched the right way. Sessions last anywhere from 20 minutes (for a focused area) to 60 minutes (for full body). Your therapist will help lengthen your muscles, increase your range of motion, and improve your flexibility. Your first Stretch is 50% off! Used by athletes, coaches, and trainers all over the world, Total Resistance eXercise (TRX) develops strength, balance, flexibility and core stability simultaneously. TRX uses a specialized training tool that leverages gravity and body weight for limitless exercises. TRX builds lean muscle and increases core strength -- without the high impact of weight training. We offer one-on-one, partner, and group TRX classes. Sessions are 60 minutes and are always unique. TRX training is adaptable to all fitness levels. Try your first class FREE! Our Bootcamps are fast-paced, group workouts that combine core conditioning, flexibility, cardio, and interval training. Over our 10 years of bootcamps, we have witnessed people enjoy exercise for the first time, build strength like never before, and achieve their fitness goals. We see community form amongst the participants as they encourage each other in their fitness journeys. Sessions last six weeks. Bootcamps are our most cost-effective workout, and are for every fitness level, age, and ability. We believe that strength and flexibility are the keys to long-term physical wellness. Through TRX Training, Specialized “Bootcamp” Workouts, and Fascial Stretch Therapy, our certified personal trainers help you reach your fitness goals, regardless of your experience level, age, or fitness capabilities. We integrate cardio, strength, and balance into each exercise to ensure your workouts are well-balanced, effective, and enjoyable. We want to help you find a fitness you could love. 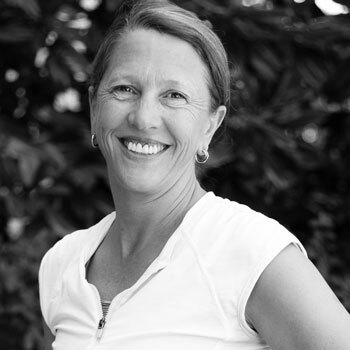 Trainer and co-founder of Stretch2Strength, Leigh has worked in the fitness industry for over twenty years. She has taught group fitness classes and been a personal trainer in both the Atlanta and Birmingham area. She is currently certified as a fitness specialist and personal trainer with the YMCA, TRX Suspension Training certified, and is CPR and AED certified as well. Leigh recently got certified to be a professional Fascial Stretch Therapist. Leigh and her husband, John, have four daughters and reside in Birmingham. 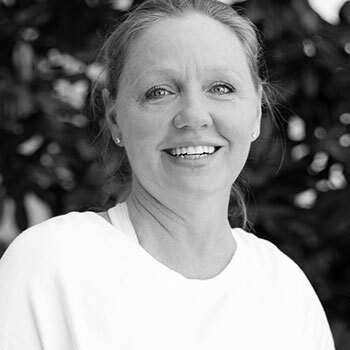 After more than 20 years as a pharmacist, Paula Windle founded Stretch2Strength with Leigh Karagas. Paula understands the importance of fitness, and she enjoys bringing different women in the community together with one common goal. She is a certified Personal Trainer through AFAA and is also certified in TRX Suspension Training, Practical Yoga and Practical Pilates, Golden Hearts Senior Fitness, Fascial Stretch Therapy, and CPR/AED. In her free time, Paula masterminds S2S playlists, spends time with her husband, and chauffeurs her children around town. Kelly Greiner has been a trainer with Stretch2Strength since 2014. She loves S2S workouts because each workout is unique and she gets to form friendships with the participants. Kelly believes starting a workout with a positive attitude will help you finish strong. 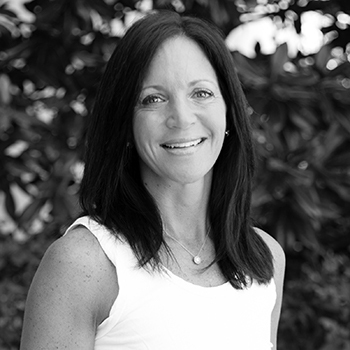 Kelly is a certified personal trainer through AFAA, Aerobics and Fitness Association of America, is TRX certified, and is a certified Tabata Bootcamp Instructor. When Kelly is not teaching, she's wrangling her husband and two children, spending time with friends, and enjoying life. One-On-One Personal TRX Training, Partner TRX Training, and Group TRX Training are available. Schedule a FREE consultation with us today to find the training that works for you! I love that Leigh and Paula create a low key environment with a great workout. And there's no "fuss" like a typical gym. My core is stronger, my balance is better, and I really look forward to going to workout! I love that we work hard and we laugh hard, and I love that it's women of all ages and backgrounds. The variety of exercises and routines make it a great workout.